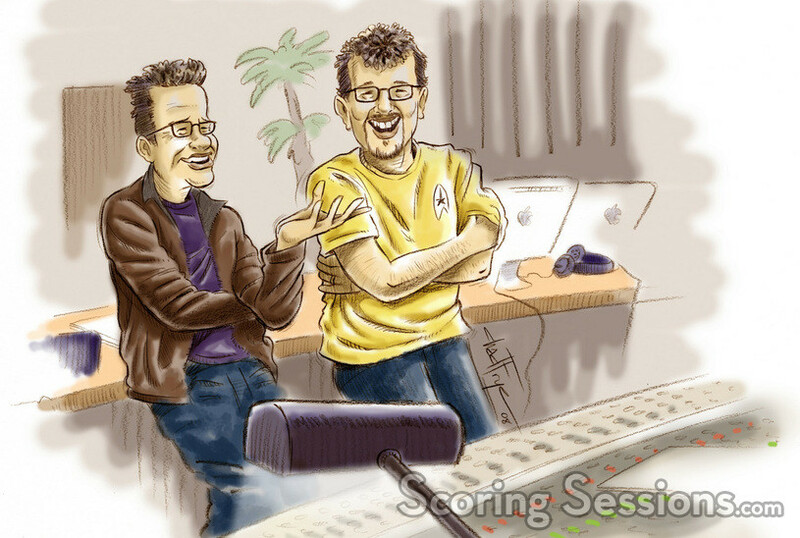 Earlier this fall, composer Michael Giacchino recorded his new score to the highly anticipated reimagining of Star Trek, directed by J.J. Abrams. Scoring took place at the Sony Scoring Stage, but with the film coming out in May 2009, mum was the word. In fact, we’re not even able to show you photos from the session just yet…. everything is locked down that tightly! 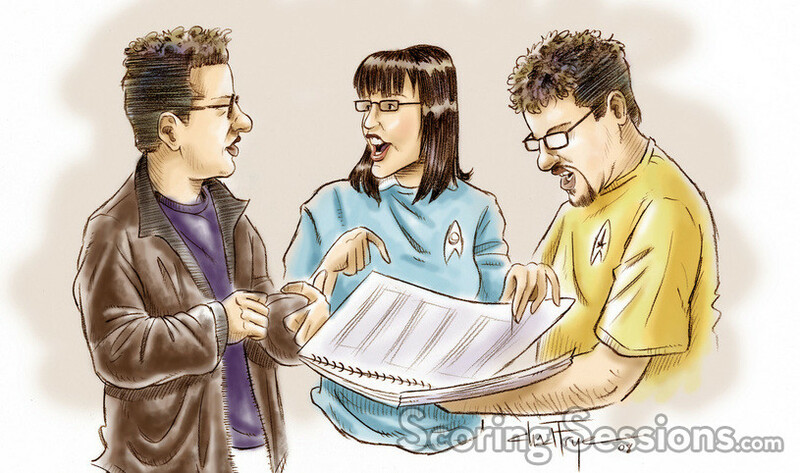 But Michael Giacchino had a great idea – treat it like a sensitive courtroom case. 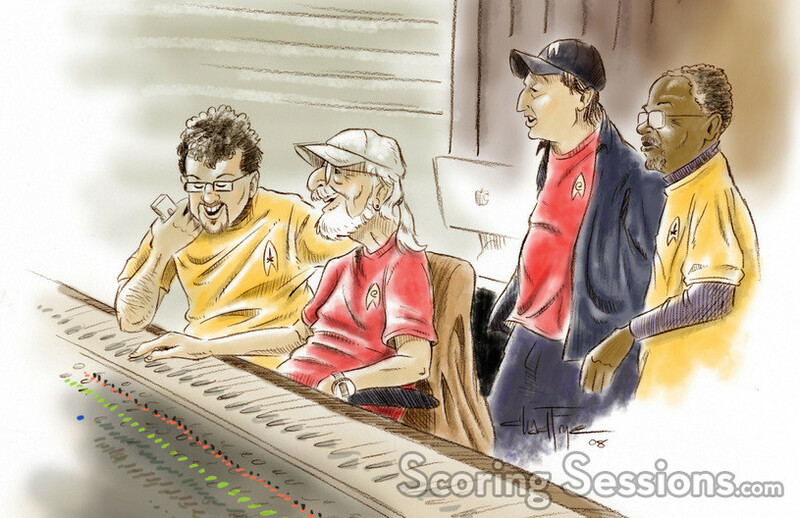 With the help of his good friend and former Disney artist Chad Frye, we are very excited to bring you a little Christmas present: a sneak peek (through artist renditions) of the scoring session to Star Trek. 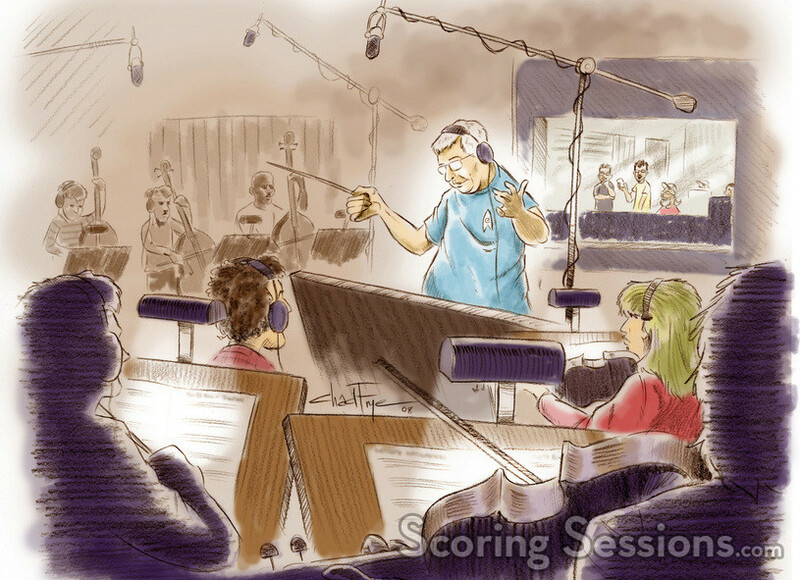 Look for our exclusive scoring session coverage (with actual photographs) this coming spring. Star Trek will hit theaters on May 9, 2009 from Paramount Pictures.